There isn’t really a soup recipe in here. Oh wait. April Fools. << Hilarious story – I was originally going to post this recipe on April 1st – but got majorly excited about my sweet potato noodles last week. Does that make the joke even more exciting…since it was a week late?! 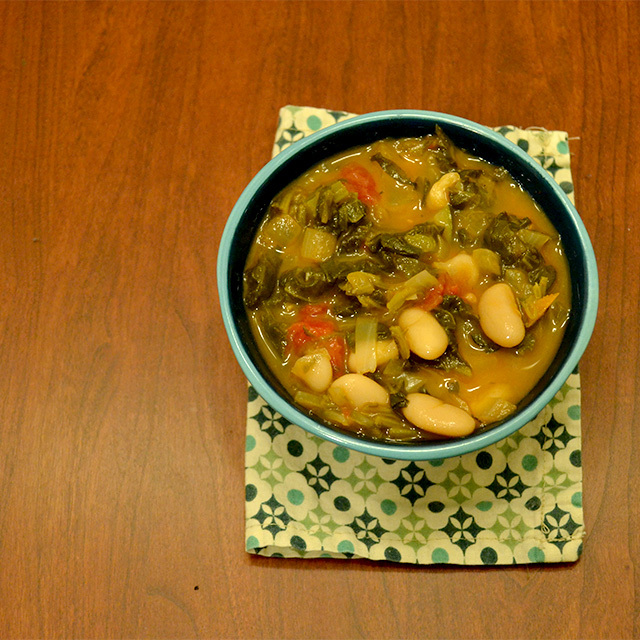 The idea for this soup grew out of another desperate attempt to smolder my warm weather needs. I actually made it back in February, on an incredibly dreary day. I was in soup mood, but was trying to make something with lower acidity than my usual tomato juice based taco soup. The results? Deliciousness. Because? Vegetables. This soup is one that can transfer seamlessly into cool spring days – when vegetables begin to come back into season, but the air is still crisp in the evenings. Nathan even recommended adding some potatoes, or some green beans. I think you could really add any vegetables that were in season and they would work amazingly. Heat olive oil (optional) in a large soup pot until warm. Add onions, carrots, celery, zucchini and garlic to the pot. Add thyme, sage, parsley, salt and pepper. Stir well. Add the vegetable broth and diced tomatoes, stir and bring to a rapid boil. Add the spinach and white beans. Heat at a boil until soup is warm throughout and vegetables are to your desired tenderness. Serve warm. Store any leftovers in an airtight container in the fridge once cooled completely. 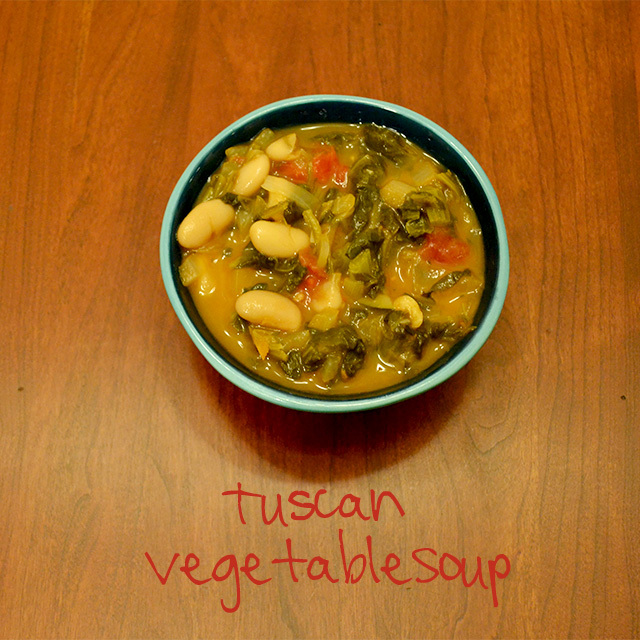 I linked this recipe in GFE’s gluten free Wednesday roundup! Oooh! Sounds fabulous! I think I’ll try this as a cheat paleo meal 🙂 Pinned it! YESSSSSS. On my way right now. See you in..er..6ish hours.